The Dose deck is the 7th in the Karnival series produced by Big Blind Media and is the first without the Bicycle brand across its box. 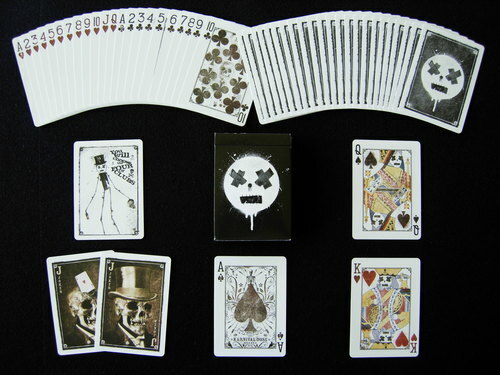 As always, the deck is designed by Sam Hayles, with "a theme somewhere between grungy post-modern and elegant macabre". The cards are fully customized, the back design is one-way, and the box has a barcode reveal. 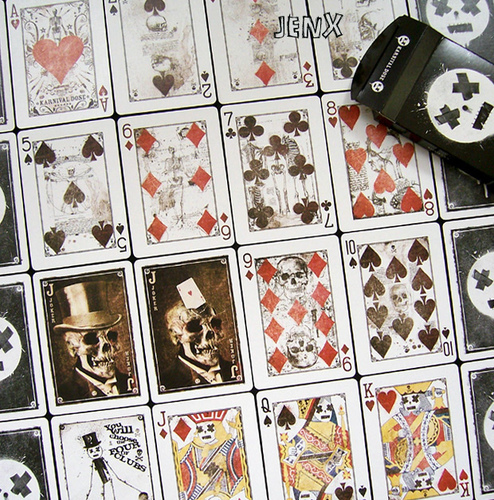 Comes with 2 Jokers (one of which has a built-in reveal), a double backed gaff card and an ad card with a prediction on one side.